– This women’s soft, flow muscle tank has low cut armholes for a drapey fit along with a curved bottom hem and side seams. – Did somebody say Country Music & Mimosas? 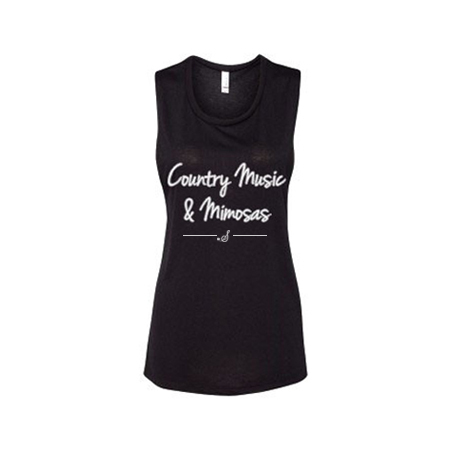 This is the perfect brunch tank for every country fan! The muscle tank style gives it a relaxed, drapey fit. These do run a little small, we recommend going a size up.